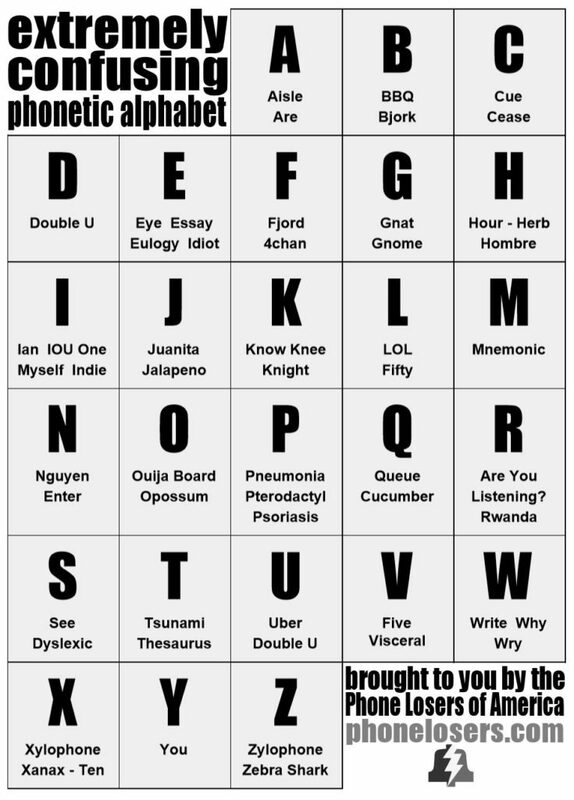 During telephone calls I'm often angrily ordered to spell my name and the name of my supervisor, so after months of input from the PLA community, we've come up with this handy phonetic alphabet that is guaranteed to infuriate people to the point of hanging up the phone so that you don't have to deal with them anymore. Of course you'll want to print this out and post a copy near every phone you find, so here are some links to download it. Full sized sheet - approximately 8.5" x 11"
Half sized sheet - approximately 5.5" x 8.5"
Quarter sized sheet - approximately 4.25" x 5.5"